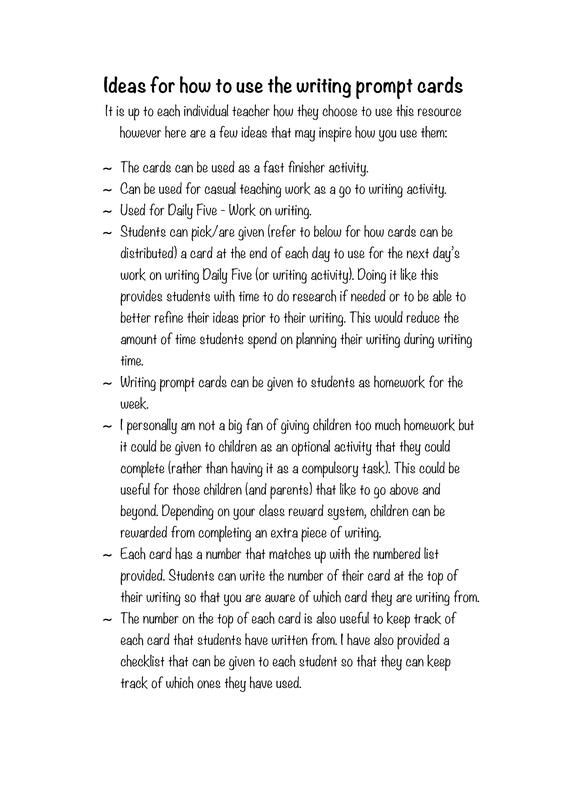 Want to eliminate those times when students sit at their desks wasting precious learning time trying to think of something to write?! 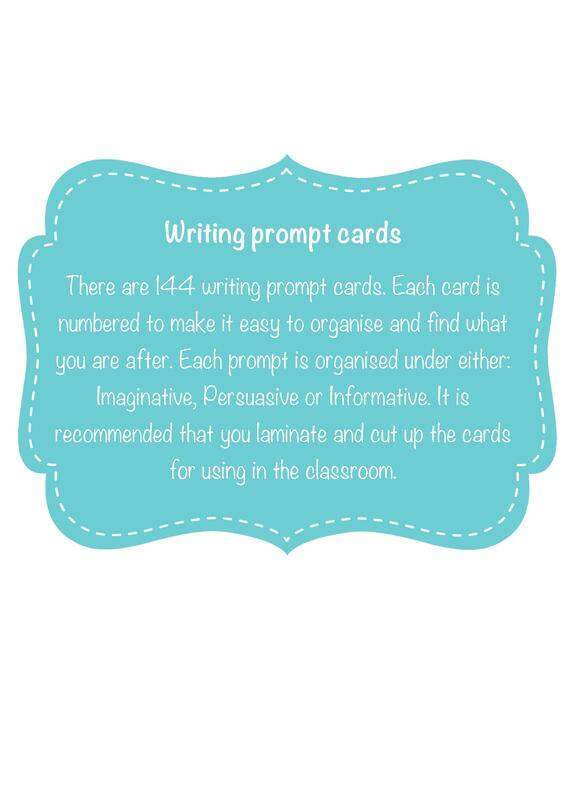 Well then writing prompt cards are the perfect solution! Not only do they provide students with creative ideas to get started but they are also educational and fun. 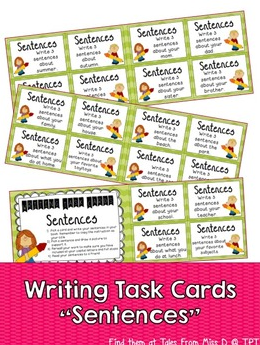 These writing prompt cards have been designed to get students thinking and creative as they incorporate the use of the three main text types (imaginative, persuasive and informative). 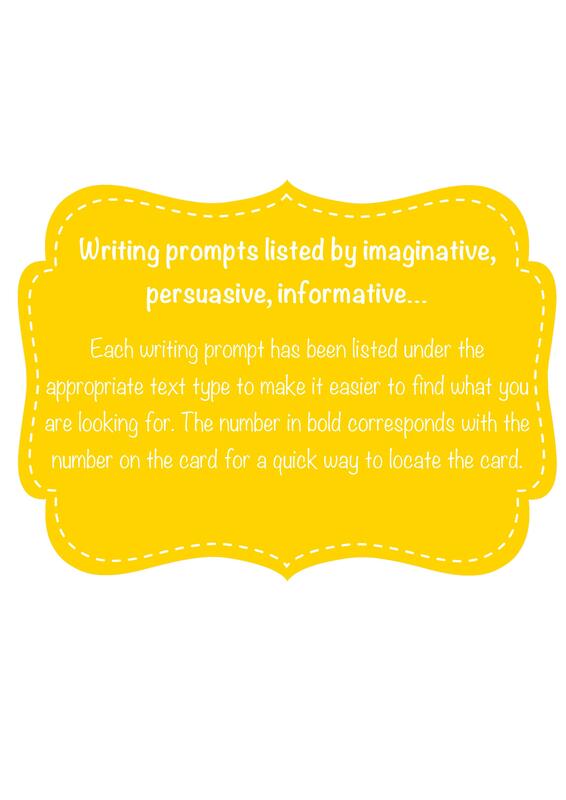 The writing prompt cards make it easy for students to get great ideas quickly and easily when needed. 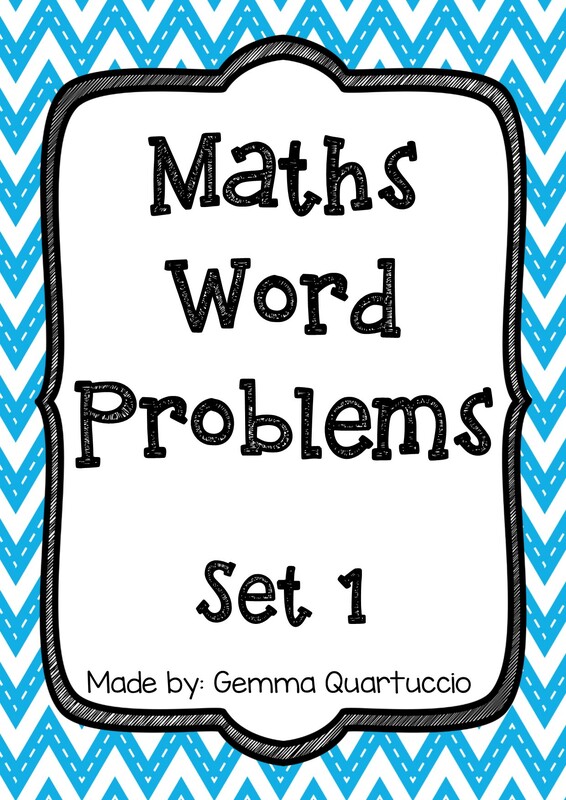 They are an excellent resource for any classroom as they can be used in many different ways. 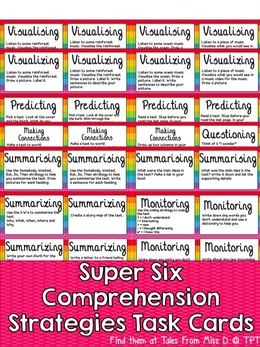 Some examples of use include: fast finisher activity, Daily 5, causal teaching resource or as homework. 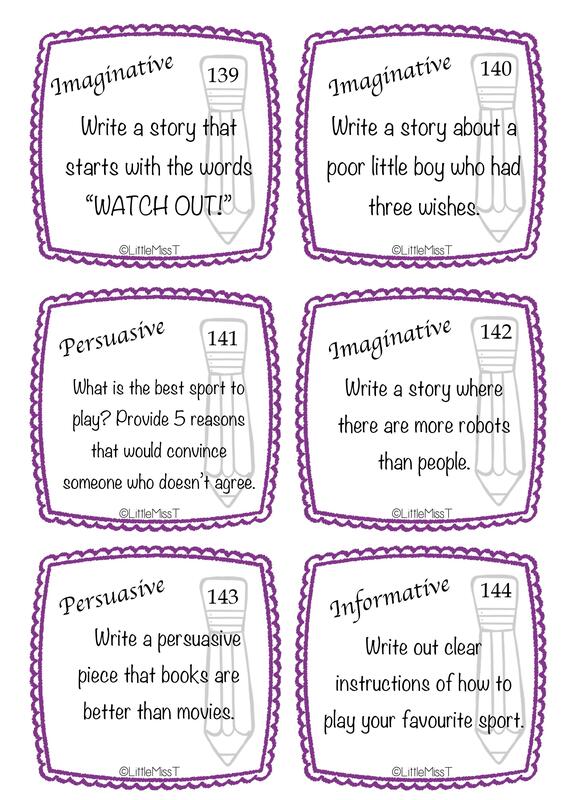 ∼ 144 writing prompts based on the three main text types “imaginative, ?informative and persuasive”. ? 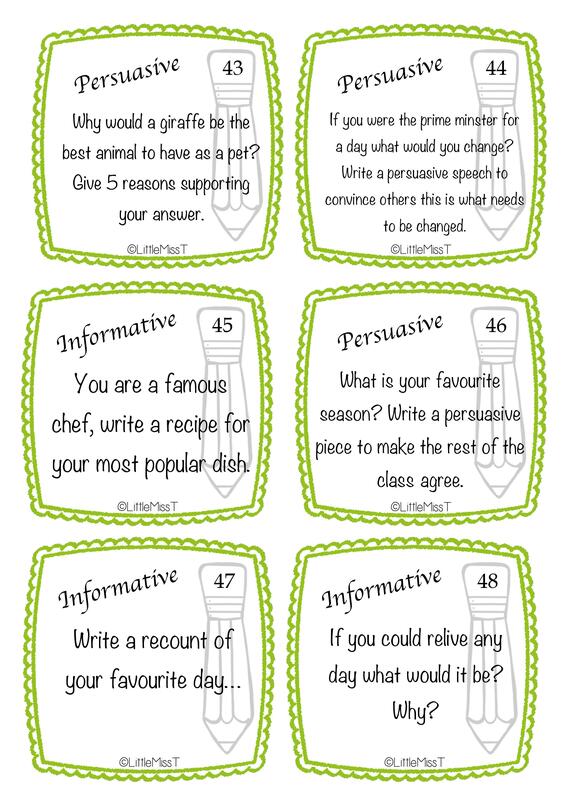 ∼ Ideas of how to use the writing prompt cards in your ?classroom/teaching. ? ∼ Ideas of how to distribute the cards. ? 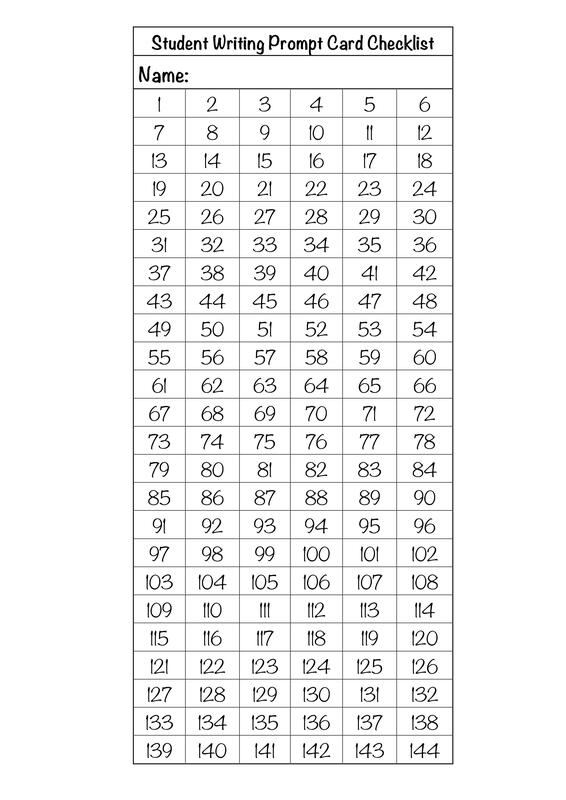 ∼ Information on the writing expectation per year level. ? 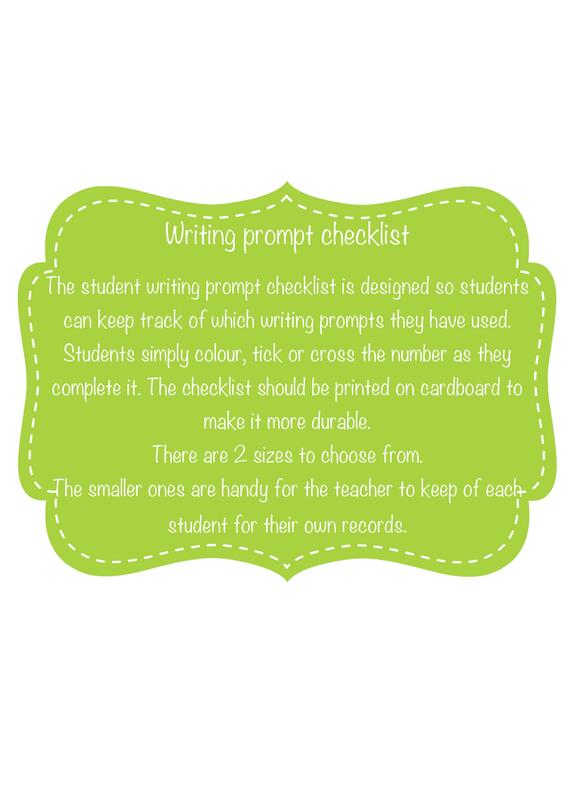 ∼ Writing prompt checklist (in 2 sizes). ? 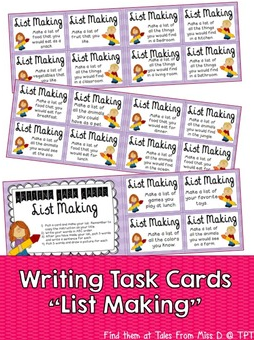 ∼ Writing checklist for students to self correct their work. ? ∼ Writing prompts listed by number for quick and easy reference. ? 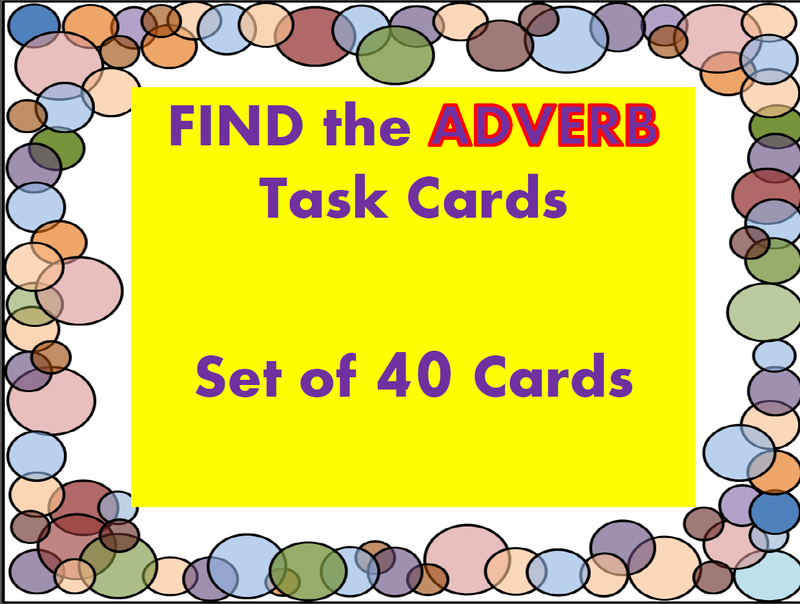 ∼ Writing prompts listed by text type for a quick and easy reference. ? 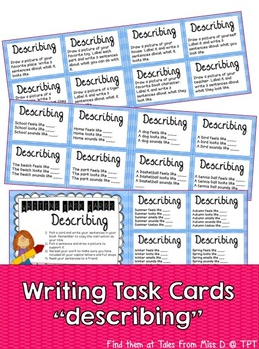 The writing prompt cards can be effectively used for students from grade 1 to grade 6.